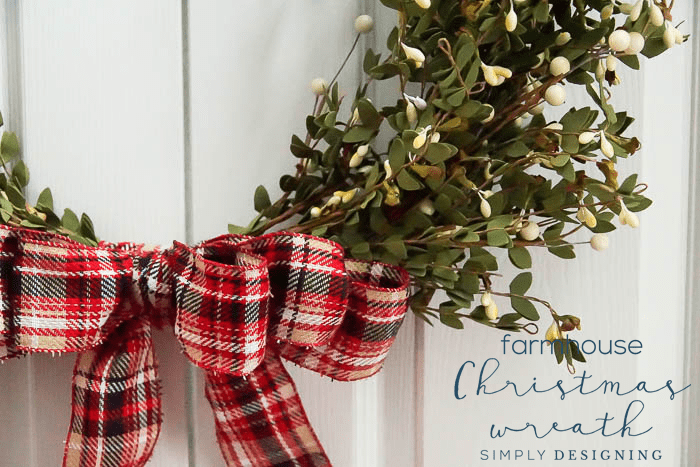 I love creating and wreaths are one of my absolute favorite things to create seasonally! 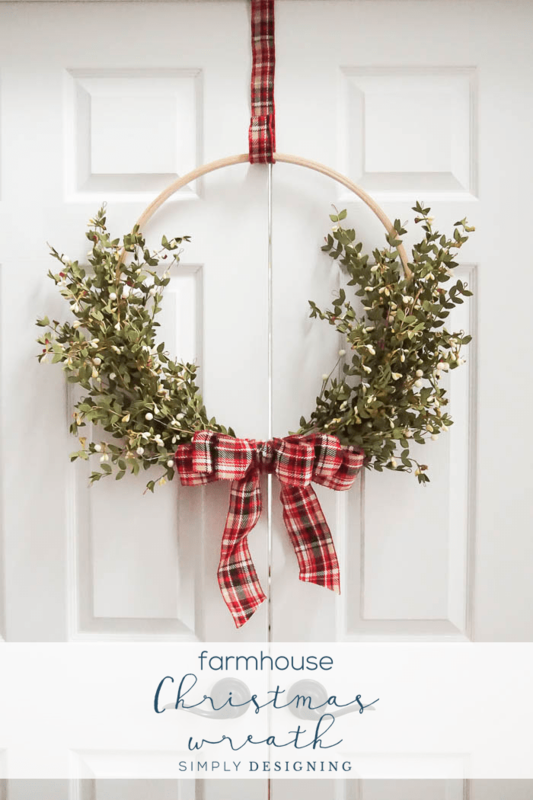 It is so fun to be able to adorn my door with a fun and unique wreath every season and out of all the seasons, Christmas might be my favorite! The first holiday wreath I ever made was before I had a blog. I remember my husband and I going to the store and hand picking every single decoration to put on the wreath. 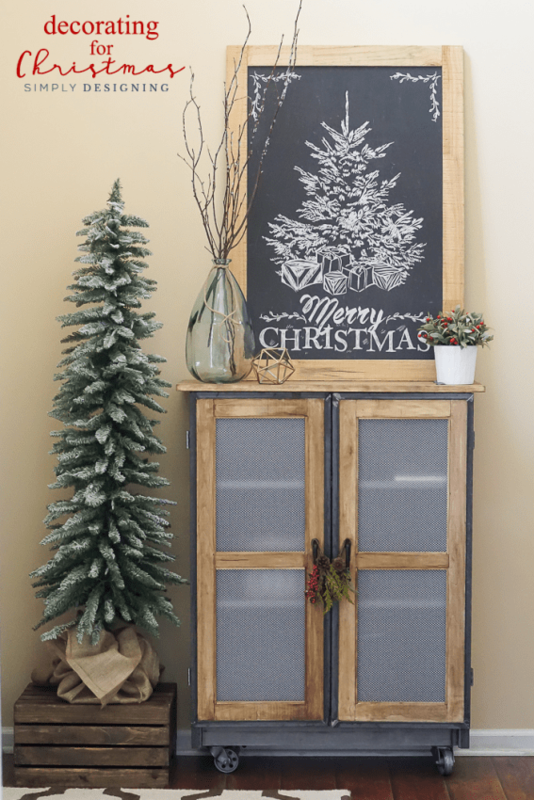 It was a stretch of our budget at the time but I really wanted something for my door to celebrate the season. We created it together and then we hung it year after year and I will always think of that wreath with such fondness. But this year I wanted to create a more modern Christmas wreath for my front door. 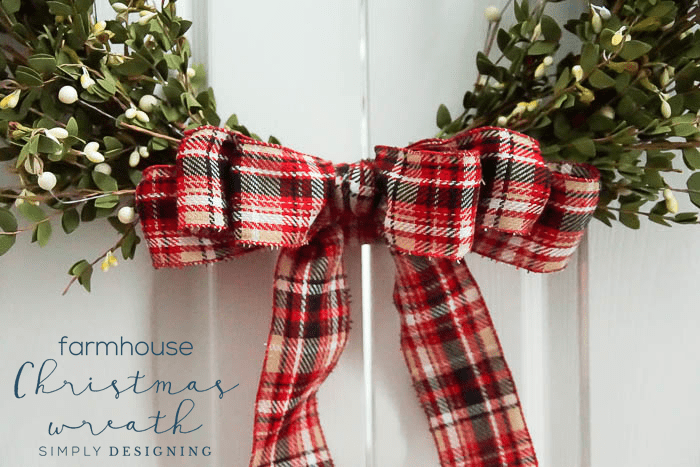 So I went to the store, gathered a few supplies, and created a beautiful, simple and modern Farmhouse Christmas Wreath and I am so excited to share the details about it with you today. 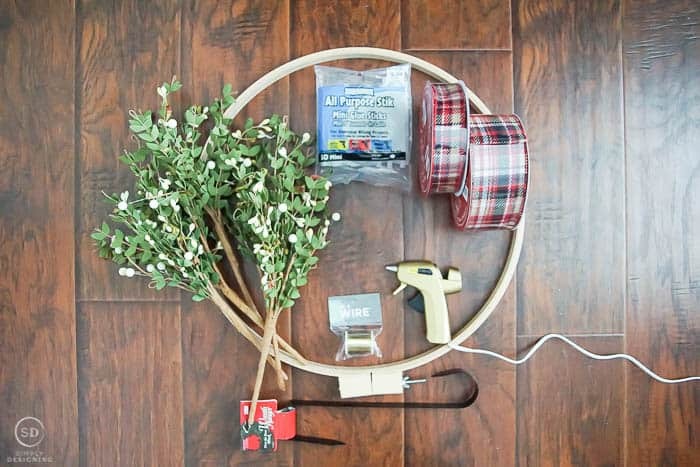 You will begin by using a hot glue gun to cover the wreath hanger in 1.5″ ribbon. 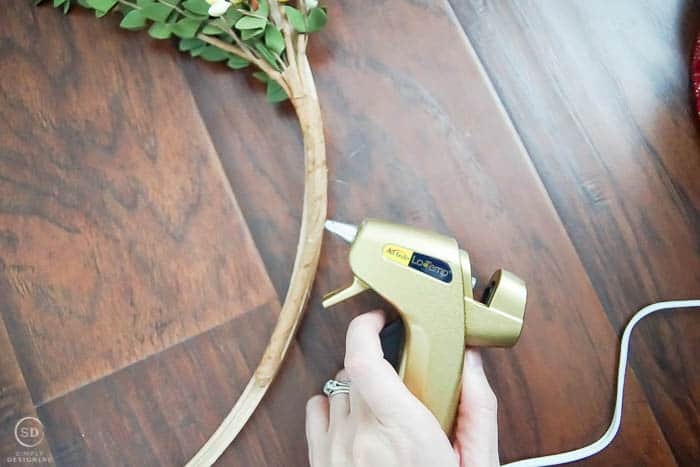 I wanted a pretty wreath hanger, something unique and different and I love how easy it was to create a custom wreath hanger using just ribbon and a hot glue gun! After this is complete, set it aside. You will then begin to lay the greenery on top of the hoop. 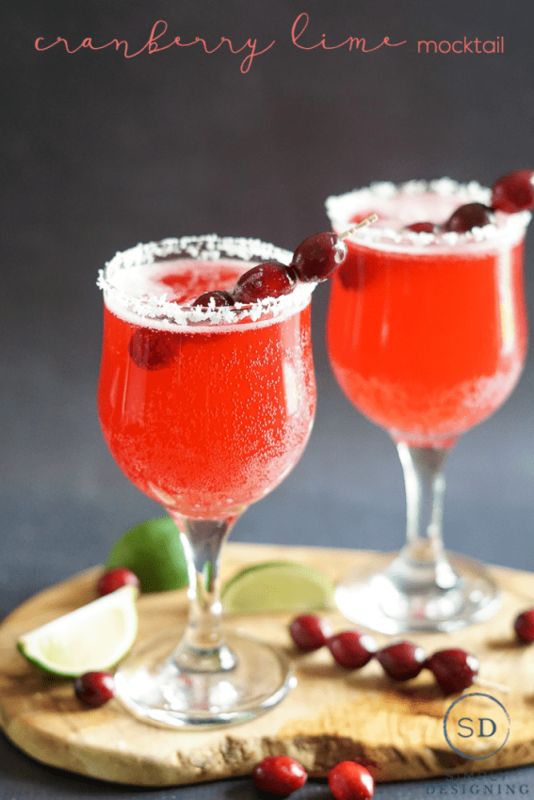 You can use as many or as few stems as you like to make this wreath as sparse or full as you prefer. 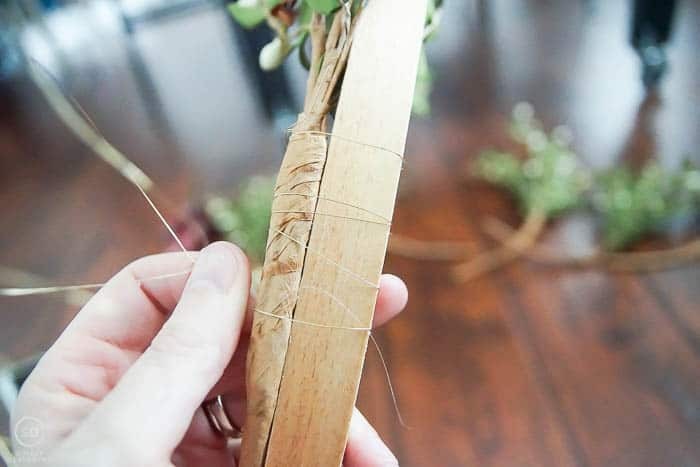 After the greenery is laid out, carefully bend the greenery stems to fit to curve of the hoop. You can use hot glue to glue the stems into place beginning at the top and working your way towards the center. This will create a decent hold, but since I wanted to ensure that this wreath would last outside in the harsh, cold and windy winters here, I also wrapped each stem to the hoop with gold jewelry wire. Having both the glue and the wire will ensure a good hold. I choose to use gold jewelry wire instead of traditional (green) floral wire because I knew the gold would blend into the hoop better than the green would. 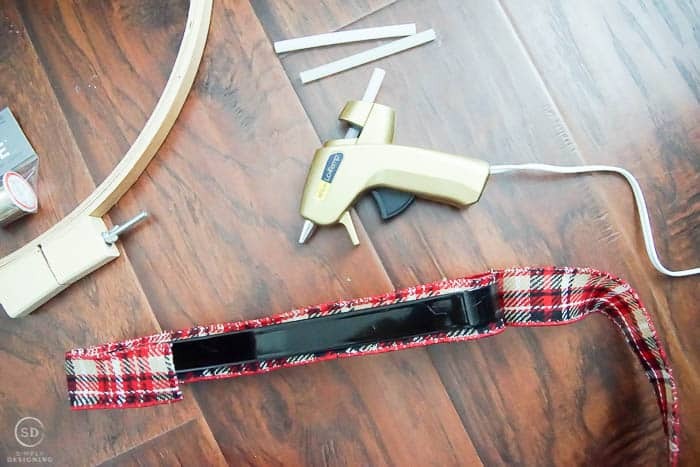 Once the stems are glued on and wired into place, you can use a bit of your 2.5″ ribbon to cover the middle part of the hoop where all the stems meet. 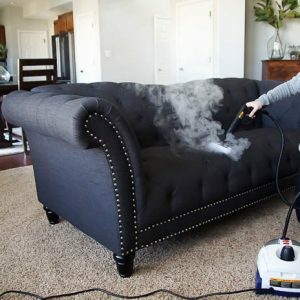 Secure this in place with hot glue. 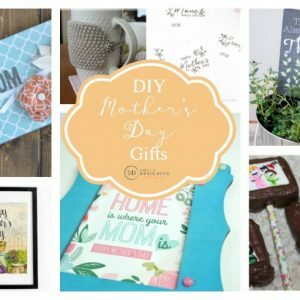 Next you will take your 2.5″ ribbon and create a bow. 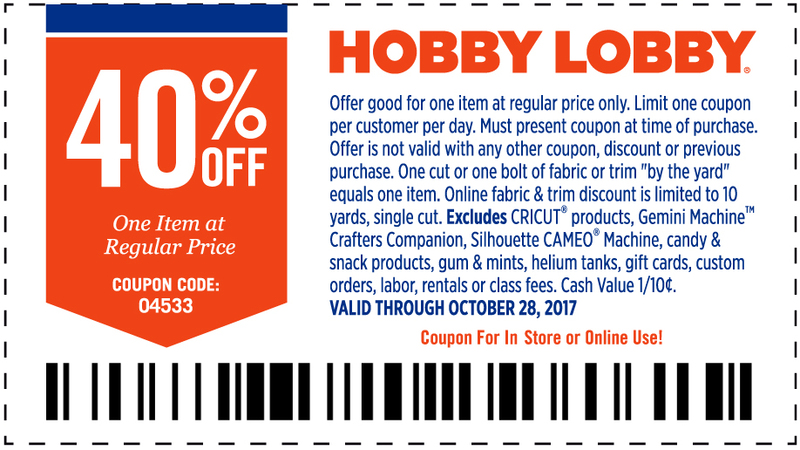 I created three loops of ribbon and used another piece of ribbon to tie it in the middle. This gave me three loops on either side of the bow. 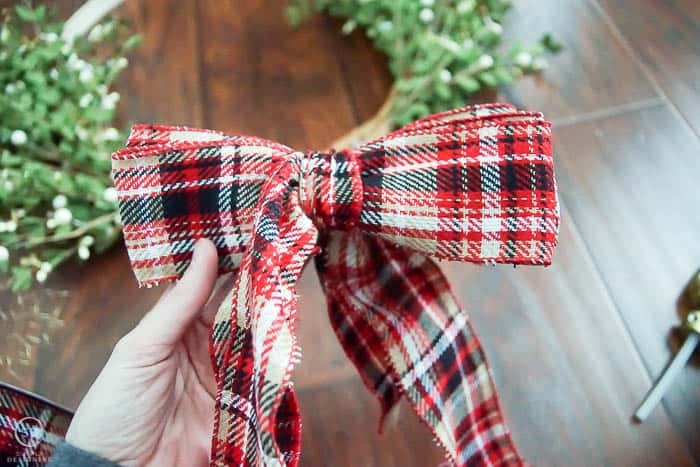 You can create any style of bow you prefer, but I love how simple and elegant this is. It is modern and stylish and isn’t too overwhelming. I cut the ends of the ribbon at an angle to help them from fraying. 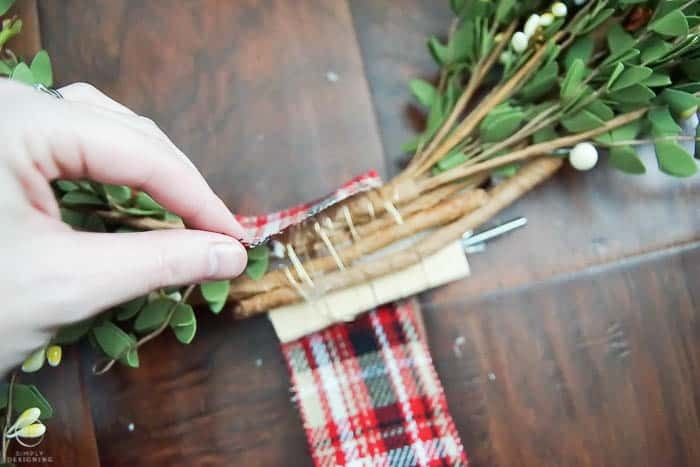 Adding a touch of clear glue, clear nail polish or singeing the ends will ensure the ribbon looks beautiful throughout the season. After my wreath was complete, I hung it up and looked at it. I decided that there were a few places where the greenery was a bit too heavy, so I used wire cutters to snip a few stems of the greenery off of the wreath. And then I was done! I really love just how this turned out! 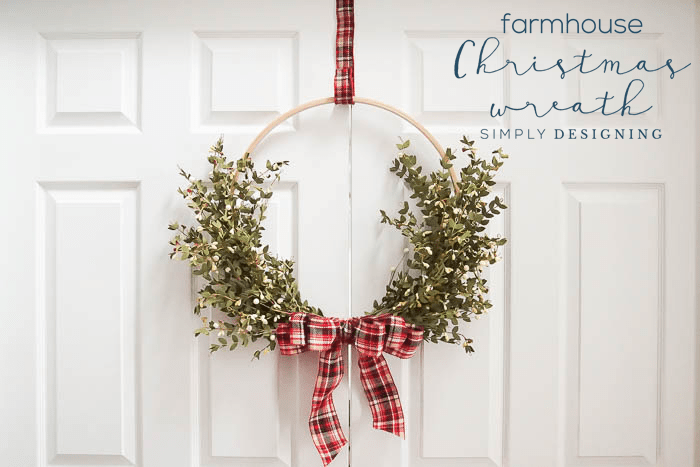 It is simple, fresh, beautiful, unique and the perfect farmhouse Christmas wreath to hang on my front door this year! 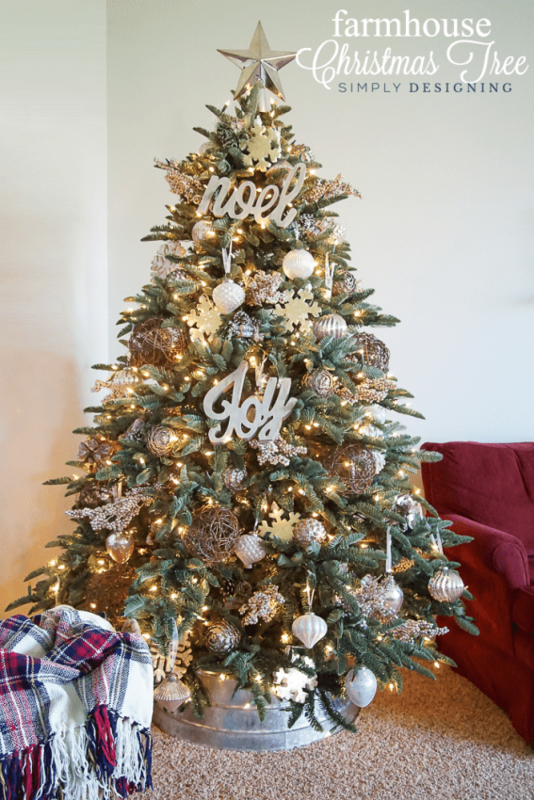 And if you are looking for other beautiful handmade holiday decorations to add to your home, you should check out my friend’s Crochet Stars! They are to die-for-gorgeous! 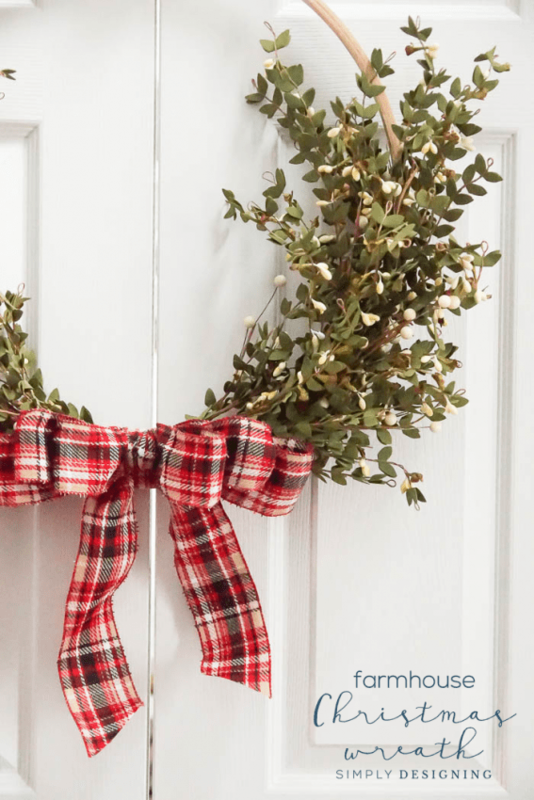 Do you like to create seasonal wreaths?